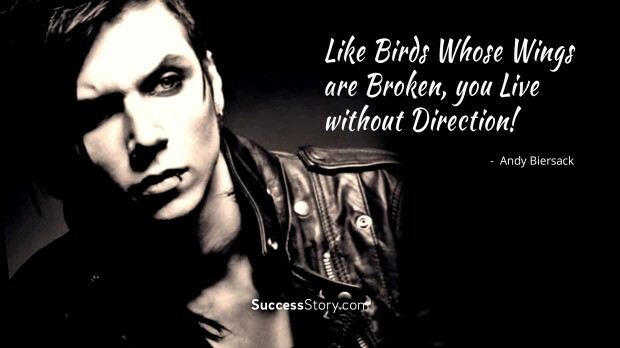 Andy Biersack quotes on believing in one’s capabilities are filled with lot of enthusiasm and aspirations. 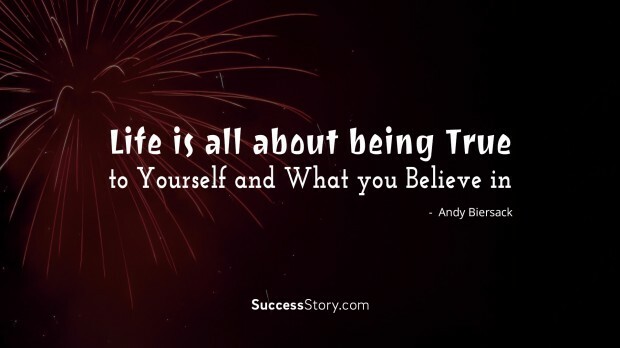 He emphasizes that the whole purpose of life is to be true to yourself and being true to what you believe in. These quotes clearly show the energy Andy Biersack carries with him. "Like birds whose wings are broken, you live without direction!" "Something pure to burn away the darkness that hides inside my mind"
"I need to have something to source my energy to and something to remove me from my own weird brain." 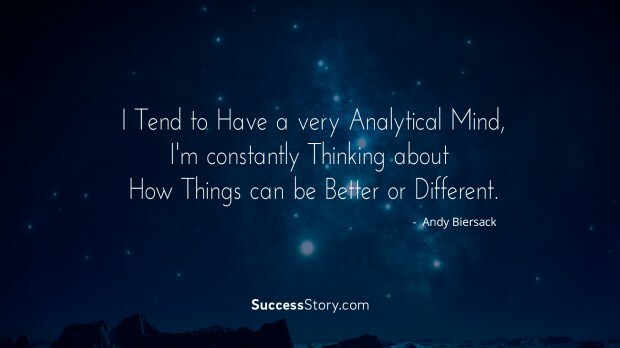 "I tend to have a very analytical mind, I'm constantly thinking about how things can be better or different." 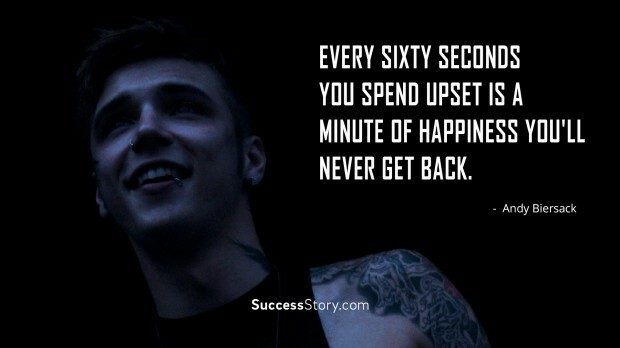 "Every sixty seconds you spend upset is a minute of happiness you'll never get back." "I know that isn't always easy and that there is self-harm in the world. 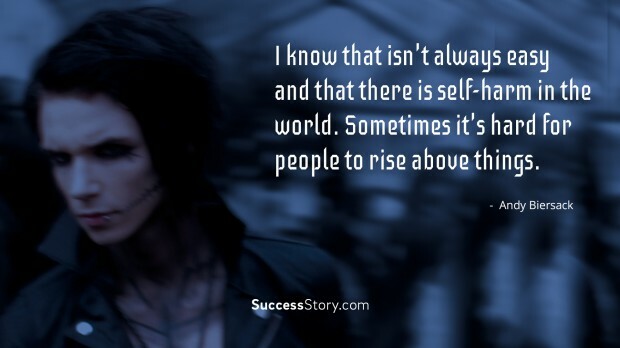 Sometimes it's hard for people to rise above things." "Never give in, never back down." 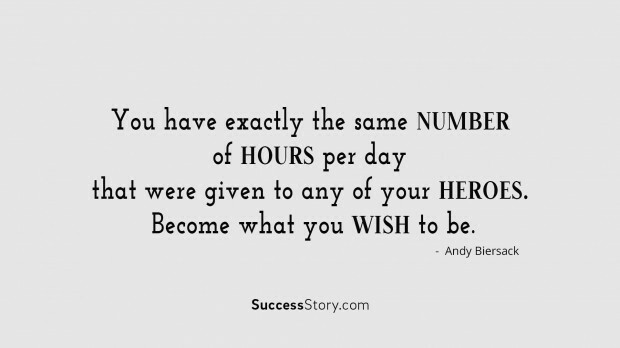 "You have exactly the same number of hours per day that were given to any of your heroes. Become what you wish to be." 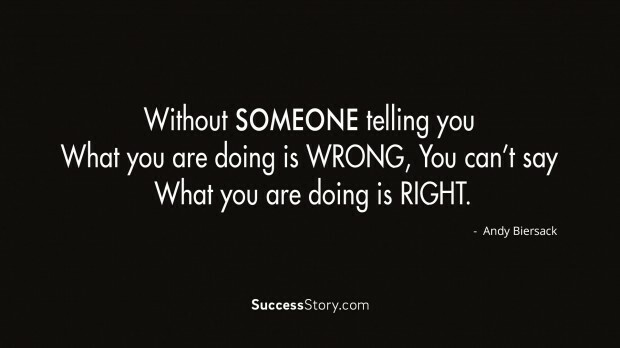 "Without someone telling you what you are doing is wrong, you can't say what you are doing is right." "Be who you want to be and not care about what others think." "Live your life, listen to your music way to loud, be crazy and as different as you want to be and always remember your not alone"
In his early school life, he was been bullied for his choice of clothes and music he listened to. He started his American Rock band Black Veil Brides. He is not just an amazingly talented musician but an equally nice person. He travels across the world and has huge and loyal fan following. Through his music he keeps inspiring people that no matter what others tell you, you can do anything in life. His quotes also talk about valuing time and utilizing it in becoming Hero in life. In his quotes he gave very nice message to all dreamers that he constantly thinks about how to make thing different and better. These quotations thus ask that we shouldn’t be satisfied with our performance but must look for ways to make it better. 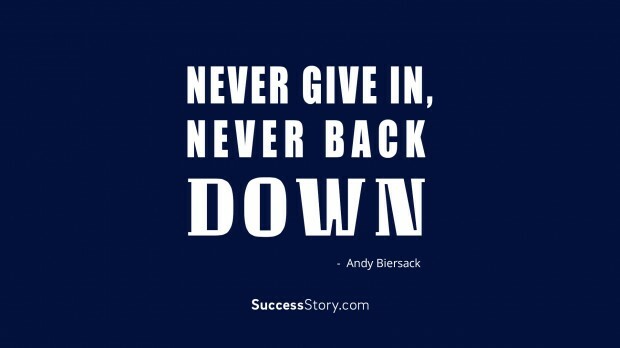 A lot can be learnt from Andy Biersack’s quotations on happiness and not giving up in life. Andrew Dennis or Andy Biersack as he was affectionately known as Andy Six is an American Singer and Pianist. He was born on 26th December 1990. He is well known for the Band he founded that is Black Veil Brides. Jamie Peters, Andy’s preschool teacher, has influenced his creativity to a large extent. The Band was started by Andy and his friends at the age of 14 under the moniker Biersack, however, the popularity grew and Black Veil Brides came into existence. The Band signed a contract with StandBy Records and made their first music video that is the Knives and Pens which was a huge success crossing 200+ million views. While performing with his band on June 18, 2011, in Hollywood, Biersack fell down the 15-foot pillar and sustained injuries. The injury resulted in the tour of the band being cancelled. Later, another tour was on the verge of getting cancelled as Andy broke his nose while doing a gig in U.K. However, he made it to the tour and performed really well. 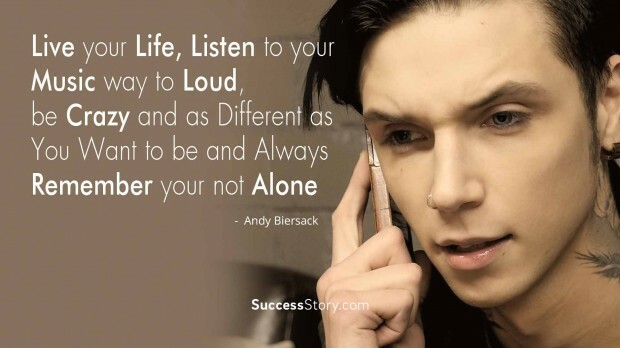 Andy Biersack is a very influential person with several quotes that he managed to pull and motivated others to do the same. His quote is particularly based on Life, Encouragement, Hope, Wisdom, etc. His Attitude made thousands of people drive their will power towards their dreams. Andy Ideology was different from other successful people around the globe. He made it a point to tackle all the obstacles that may come in the way, we should bypass them and make the victory our only resort. In one of his quotes he also admits that some people fail because they find it hard to rise above the things. His quotes constantly give out a message that we should not pay attention to what others think about us. We are not alone, be different and be you.